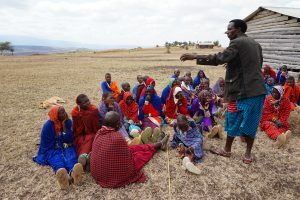 Educating one or more widows to become leaders in each of the areas of Naserian’s work: Education, Human Rights and FGM, Health and Water, and Economy (income-producing activities). Training widows and seminaries to carry out education for children in schools, as well as lead Naserian sessions (independently of the coordinator) in the future. Training young widows about health and hygiene, who will help to teach other widows in their village. Therefore this will impact children, widows and pregnant women. But of course these women’s achievements cannot be summarised in mere numbers.Naserian has raised the status of widows in whole communities, helping women to regain rights to their property, and continues to enable women to enjoy full lives and be agents of change in their lives and communities. Identify and establish a coordinator for one year to follow up on the formation of Naserian in July 2010, prepare for future projects, facilitate the implementation of projects and follow up on those projects. Coordinator has been found and appointed. 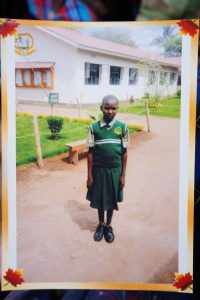 Mibaku Mollel served as Co-ordinator and received on-line training from a number of sources including Trustee Zarin Hainsworth. He liaised with local community leaders in regard to the work of Naserian and gained their support. He engaged in face to face consultation with Chipua, a Tanzanian NGO working on training and enterprise support for disadvantaged women and girls. The Trustees agreed a salary and found funds for 12 months. 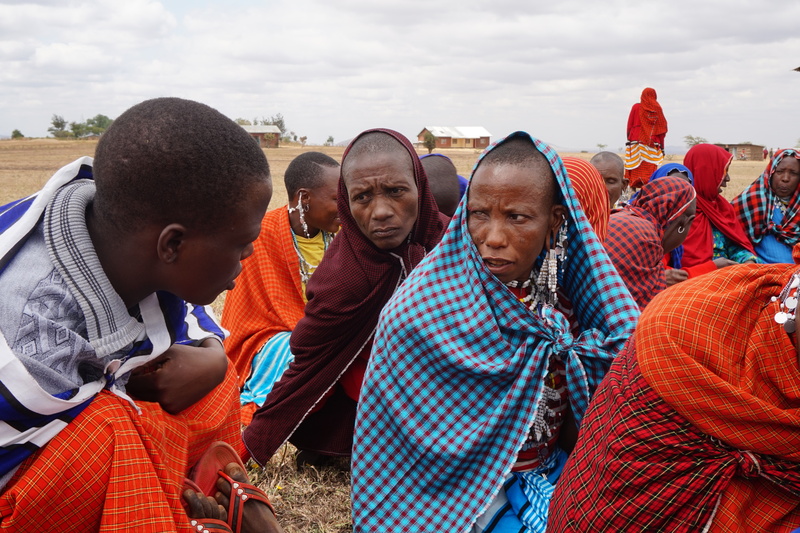 Mibaku set up a widows group in three villages: Eluwai, Lendikinya and Arkaria. These meet regularly and have elected a committee including a Chair, Secretary and Treasurer. 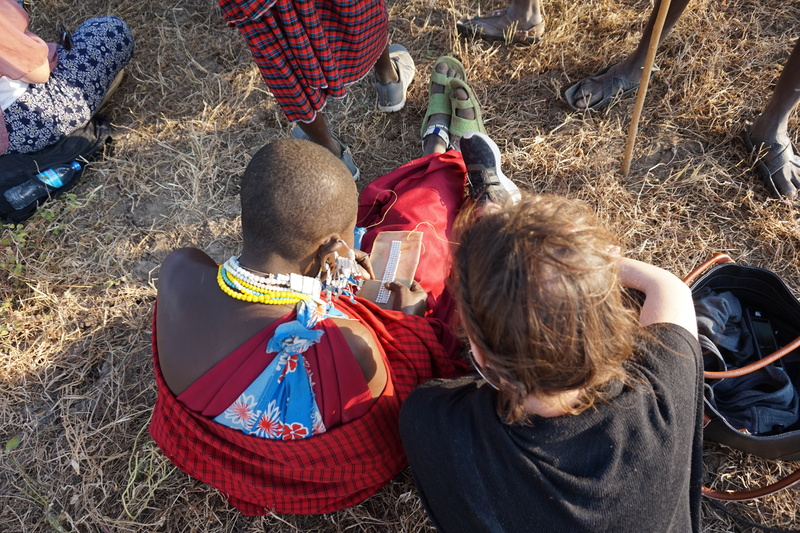 They have created Maasai jewelry to sell including work with mirrors. Mibaku began a data base of widows and an oral history noting the stories of the widows. He was assisted to organise training for 30 widows and also a train the trainer for two widows in collaboration with Chipua. He was also assisted by the Trustees to attend the United Nations Commission on the Status of Women where he made a number of presentations. As the work load developed an Assistant Coordinator was appointed and funds found to support his part time work with Naserian. Alais Esato Sima worked with Mibaku in the development of the organisation. 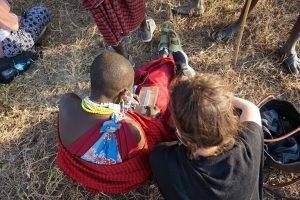 Mibaku has left work with Naserian to found an organisation to help the Maasai community. Alais is the current coordinator. Alais has engaged with the community to establish a firm foundation for the organisation and have consulted with the community and the Trustees to create a constitution and registration of the organisation. Organise a visit from other organisations in the region to share best practice. The purpose of such visits will be to visit the coordinator and visit women in the villages to establish self-help groups and train the coordinator and assistant coordinator to share best practice. An example of best practice is Women of Purpose in Uganda which inspired the founding of Naserian. A meeting between them took place in New York at the UN Commission on the Status of Women and funds are being sought for a visit from Jane to Arusha. Another example of best practice is Chipua, an organisation based in Dar-es-Saalam. A number of face to face meetings have taken place with members of the senior team of Chipua and Mibaku. Alais is also in touch with Chipua. 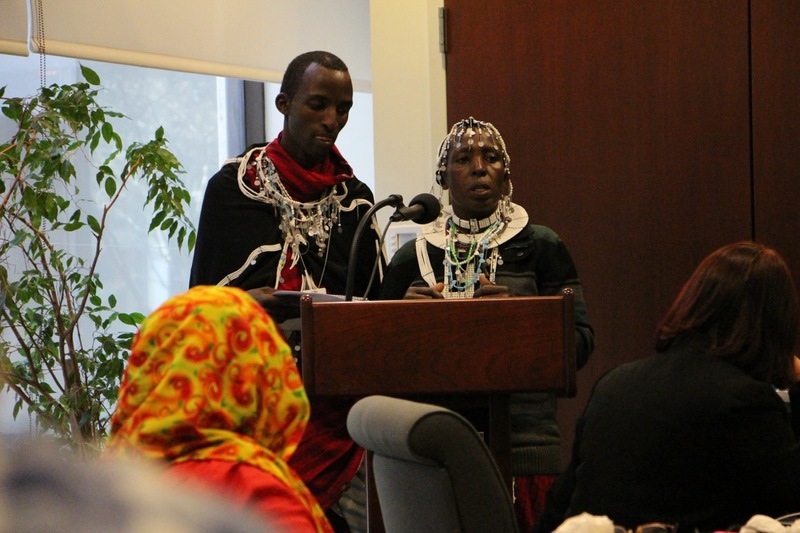 Alais worked with non-governmental organisations in Arusha for widows’ training in soap and candle making, and in Female Genital Cutting – which was cascaded throughout the Naserian community. Identify a suitable training organisation to provide training on human rights for women and widows in Tanzania. Organise human rights training that takes into consideration the constitution of Tanzania as well as international human rights standards. 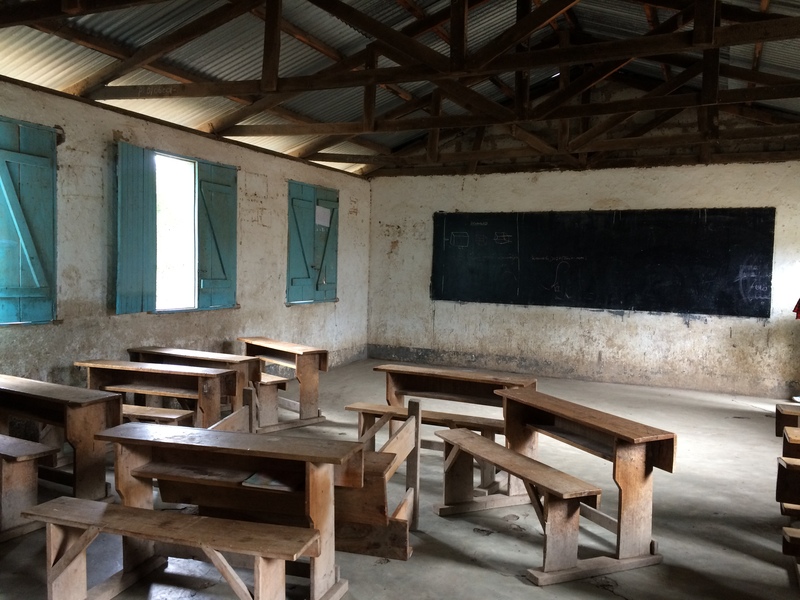 Chipua was identified as a suitable training organisation with experience in this field, the training schedule created, materials prepared and the training took place 7-11 of February 2011. The trainer Sophie traveled from Dar to Monduli where the training took place. Mibaku, Alais and a number of other champions for the advancement of women ably assisted in the training. 30 widows were trained – 10 from each of the three villages where Naserian was established. After the training certificates were presented to the widows at a community gathering. 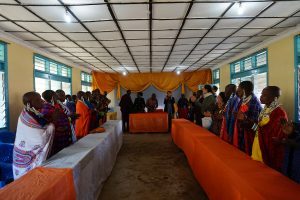 The widows are now a resource to the community and will help the community as a whole understand about the Tanzanian constitution and the rights of women within it. They are sharing their learning with leaders in the village, husbands, young men, women and widows. 2 widows were chosen by the Naserian executive committee to attend train the trainer sessions in Dar-es-Salaam. This training was provided by Chipua. 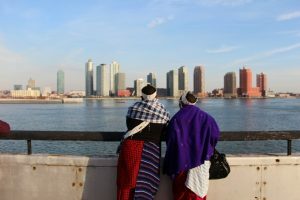 These two widows are now a resource to the district and are available to train women on an ongoing basis in the region. Training sessions are currently being planned. Further individuals will be identified for further training and work as community development workers for Naserian. This goal features in 2016’s report, where Naserian plans to train widows to lead on the four areas of its work. Create a micro credit fund. 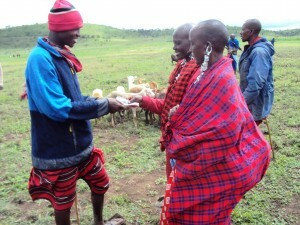 Establish a variety of micro-credit projects. 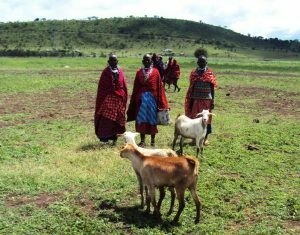 with the widows and they now have a number of goats and sheep. In addition they are making jewellery which is being developed as a source of income to build on the consultation with a jewellery designer who volunteered in 2016. The executive committee, in consultation with Alais, have made an in principle decision that external funds will generally be used to match funds raised by the community. Recently a youth in Gloucestershire, UK, held a charity football match called Goals for Goats and raised money which was used to buy goats. To build a community centre for the widows where they can receive training locally and have their meetings. The community centre can also act as a place for other community activities such as classes for children. The community centre to have a rain water harvesting system and solar panel generators, plus a garden. The local community leaders and council have donated land for three community centres. The women have begun to collect stones for the project. Alais has been learning about composting and rain water harvesting in preparation for the centre to be erected. Some funds have been raised for this project and more are being sought, and one community centre was completed in 2016. One village council has donated a building and furniture for the local Naserian committee. To enable the Coordinator to attend the UN Commission on the Status of Women in February/March 2011 and participate at the UN. Thereafter train the widows groups as a result of learning and train up 2 widows to attend in 2012. Funds were found. 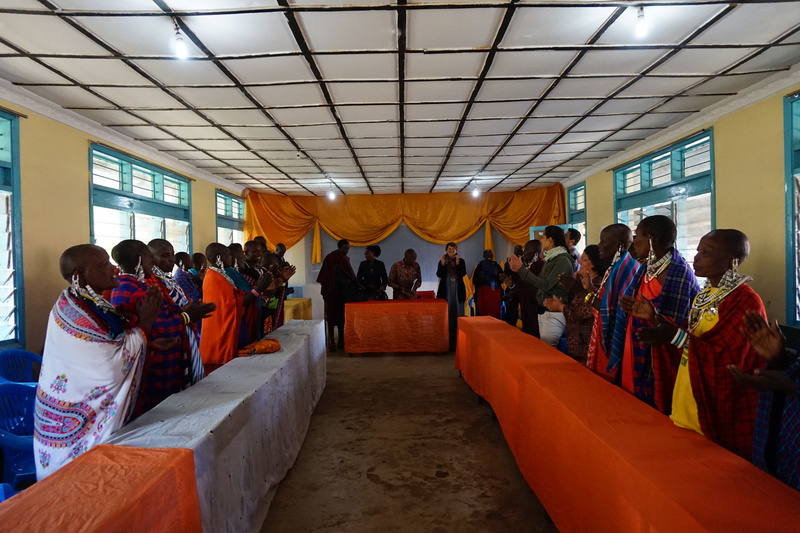 The then Coordinator, Mibaku, was accredited to the CSW through Widows Rights International. Through the assistance of the Trustees, Chipua and Grosper Mollel, Mibaku was enabled to travel via Nairobi and London to New York where he spoke at a number of panels and met with activists for the advancement of women from all over the world. To enable at least two of the community workers to attend CSW in 2013. Alais consulted with the widows previously in 2013 and they felt that they needed to learn more about the organisation and that funds would be better spent consolidating the work of Naserian. However in 2014 two of the Naserian committee leaders and Alais attended CSW with funding from the Ashworth Trust and UK benefactors. The learning that the women gained at CSW was cascaded on their return and resulted in 3 month action plans which helped to consolidate their work. 1.Identify 10 people who would like to be community workers for the widows and arrange their training. 2.Support the widows so that some of the widows will be able to speak about their organisation and what they have achieved so that they can represent the widows in other places. 3.Find a place to build a centre for widows. 4.Expand Naserian to other villages. 5.Identify a group of volunteers for the organization. 6.Work closely with community leaders about the situation for widows. 7.Encourage a variety of self-help projects such as composting, vegetable gardens and other appropriate practical projects. 4.Create an action plan for the next year. Alais has worked with the community identifying those who would like to continue the work of Naserian. He has encouraged the women who were trained to continue in these endeavours. He has established Naserian in three more villages: Miti moja, Arkantan, Eng’uiki. He has increased the number of stories from the women that have been written down. He has consulted with the women widely on their needs and aspirations. As a result they have asked for training on FGM which is now being organised. In addition a solar panel company have offered to provide 10 solar panels and train people to maintain these. Three widows have been identified for training.